Love is beginning to fill the air in Kritika! 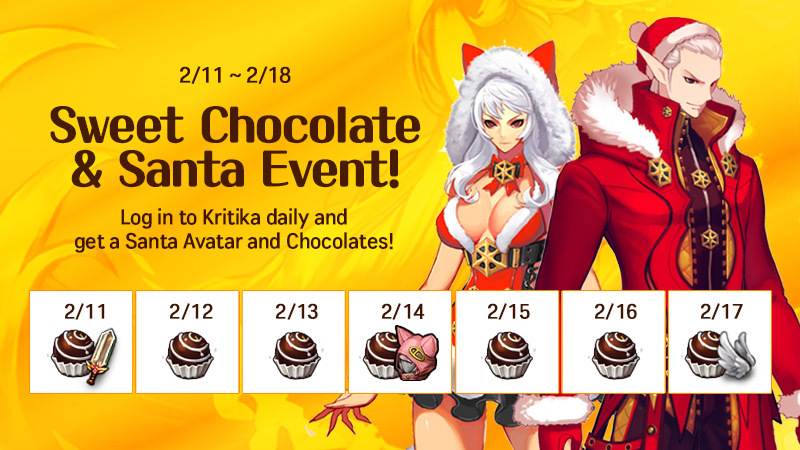 Log in daily to receive chocolates and trade them in for some Sweet Rewards. 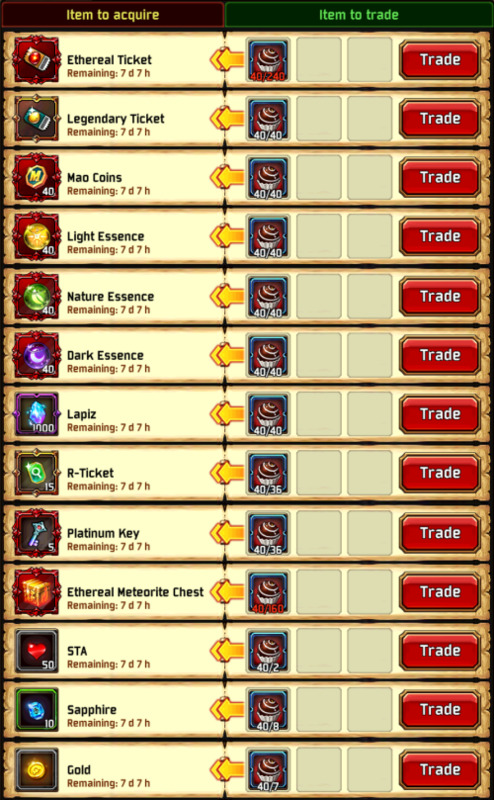 * Log in daily between 00:00 ~ 23:59 PST in order to claim special rewards. Last edited by CM_EtherealDuke; 02-19-2019 at 07:31 PM. santa should wear cupid's wings for Valentine's day. just saying.